The new Mayor and Mayoress of Calderdale Coun Marcus Thmpson and Nicola Chance Thmpson with their deputies Coun Chris Pillai and Beverley Krishnapillai. 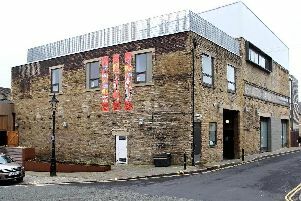 Abolishing the role of Calderdale’s Deputy Mayor is one of the options councillors are considering to save money going forward. In turn these are among a number of cross-council measures which will be debated as the day on which Calderdale councillors will set next year’s budget and consider options going forward moves closer on February 25. A full review of support given to councillors, including officer support, the number and frequency of scrutiny board, working party and other committee meetings and the possible abolition of the Deputy Mayor’s role could save the council £40,000 in 2019-20 and £100,000 in each of years 2020-21 and 2021-22. It is also suggested the cost of members and senior officers attending conferences and training events outside West Yorkshire could be reduced to make the savings target. Likely impacts could include staffing and the ability to attract and retain councillors in roles for which special responsibility allowances are paid. Where posts are affected efforts will be made to offer additional support and alternatives such as redeployment and training opportunities as appropriate, says the briefing paper. To balance a “standstill” budget in 2019-20 the council needs to find £0.9 million in savings and believes it can do so by operating more commercially to maximise its income and resources and working more efficiently including greater use of technology and equipment to reduce costs. Officers have warned councillors that more savings of £6.7 million in 2020-21 and £7.6 million in 2021-22 will be necessary going forward, unless the way Government funded councils changed.